A returning Navy pilot is accused of his wife's murder. This one falls into the noir sub-genre of films revolving around servicemen returning home from WWII and finding a corrupt, decadent society, a rotted version of the America they left to fight for - Mom's apple pie now conceals razor blades. 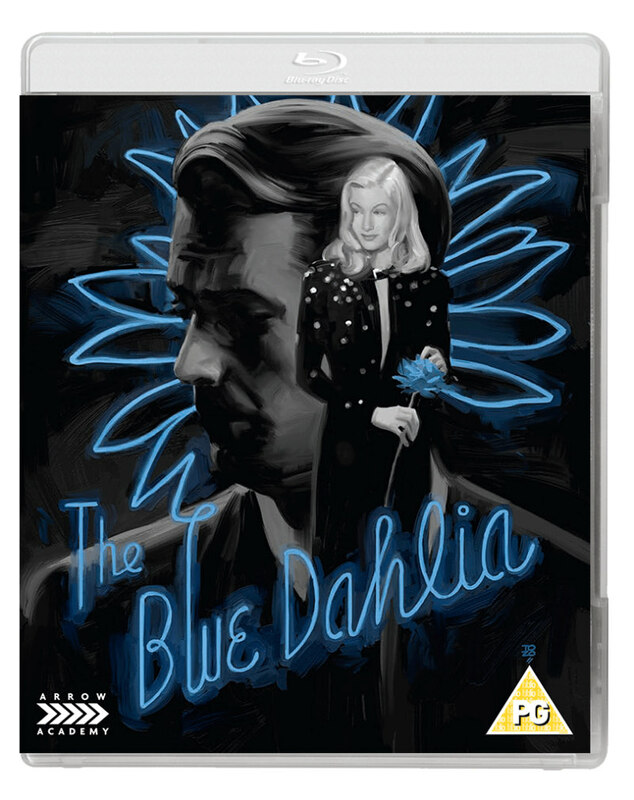 Along with 1942's The Glass Key, Arrow Video are this month releasing another noir that pairs Alan Ladd with Veronica Lake, 1946's The Blue Dahlia, the less interesting of the two movies, but a must have for film noir completists, presented in the sort of stunning transfer we've come to expect from Arrow. Ladd is Navy flyer Johnny Morrison, who arrives back in the US with two fellow crewmen, Buzz (William Bendix) and George (Hugh Beaumont), with whom he formed a strong bond during the conflict. While in the Pacific, Johnny received the devastating news that his infant son Dickie died from diptheria. Arriving at the home of his wife Helen (Doris Dowling), Johnny finds the house full of drunks, with Helen in the arms of another man, Eddie Harwood (Howard Da Silva), owner of the titular Hollywood nightclub. After clearing out the guests, the drunken Helen reveals the truth behind Dickie's death - the boy was killed in a car crash with a sozzled Helen behind the wheel. Incensed, Johnny threatens his wife with a gun, but leaves in a rage. When Helen's corpse is discovered the next morning, Johnny finds himself the number one suspect in the killing. The pairing of Ladd and Lake across several films was a strange one, as they were rarely offered much screen time together, despite how the movie posters make it seem. Here, Lake plays Harwood's ex-wife, who just happens to give Johnny a lift, falling for his melancholy charm instantly. Both stay at the same hotel, and another chance encounter at breakfast gives us the only moment of substance between the pair, as they flirt with the idea of a future that seems impossible to both. Positioned on a balcony, Lake gazes out longingly to the ocean, speaking of a desire to up sticks and travel, while Ladd's ex Navy man tellingly keeps his back turned to the sea. 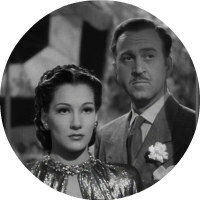 As with The Glass Key, the more intriguing relationship here is that between the characters played by Ladd and Bendix. The latter, Buzz, is another classic walking can of spam Bendix role, but here he's a sympathetic brute with a metal plate in his head that sends him into a fit any time he hears "monkey music" (a racist term for jazz), but a brute nonetheless. His affection for his pilot is endearing, the big lug pacing constantly in his apartment awaiting news of his friend, but Buzz is implicated in the murder too, unbeknownst to Johnny, having shared a drink at a bar with Helen the night of her death. The early scenes do a great job of setting up the film's milieu, but it can't sustain the initial intrigue, and peters out in a third act cobbled together in a week by a heavily drunken Raymond Chandler, forced to rewrite the ending when the US military took umbrage at the idea of a returning veteran committing murder. Because of this, the reveal of the killer is hard to swallow, and doesn't gel with earlier scenes. The iconic dialogue we expect of Chandler is largely absent here - don't expect anything approaching the wit of his work on Double Indemnity - and George Marshall, a director best known for his work in the comedy genre, fails to create much in the way of interesting visuals. It's the strong cast that keeps this one alive, with Ladd and Lake impressive as a pair of tortured souls; it's just a shame their characters don't share the screen more. Listen out for a scene in which a background radio broadcast provides a detailed description of Ladd's fugitive; every physical aspect of the man is described, except his height - Ladd was famously self-conscious of his short frame. Frank Krutnik, author of In a Lonely Street: Film Noir, Genre, Masculinity, provides commentary for two scenes and discusses the film and the career of Alan Ladd in an entertaining and informative featurette. Lake and Ladd return for a 1949 radio dramatisation of the film. A trailer, gallery and first pressing only booklet with writing by Adrian Wootton. 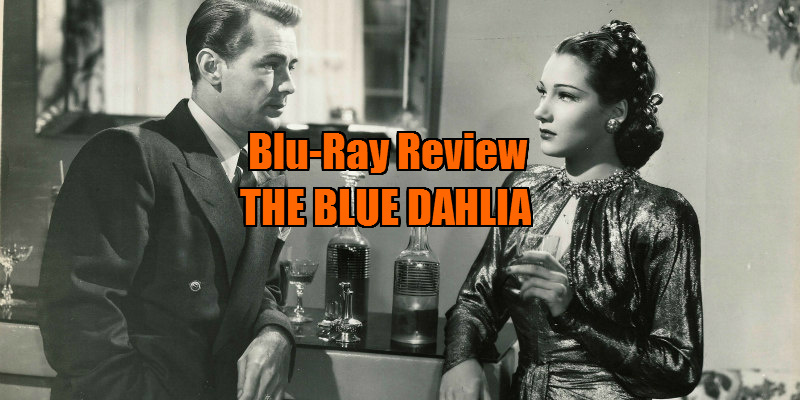 The Blue Dahlia is released on blu-ray September 19th by Arrow Video.